Choosing windows requires serious consideration. 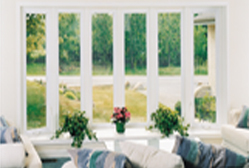 Think about all the functions your windows must perform. They provide light and ventilation, decorate the interior and exterior of your home, insulate, control sound, expand your view, and do much more. Careful thought should be given to the types, styles, options, colors, glazing and manufacturers of your new windows and the warranty behind them. Our line represents the state-of-the-art design in windows. Using the latest computer technology, top industry engineers set out to design the perfect family of windows. As a result, we offer the most aesthetically contemporary and technologically advanced and energy efficient window systems in the industry. 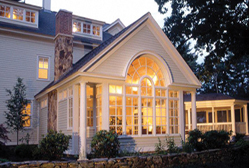 A traditional style, popular double hung windows open by raising the bottom sash or lowering the top sash of the window. 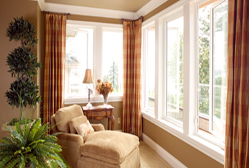 This is a window style that opens by sliding the operable sash toward the center of the window. Picture windows are stationary and cannot be opened. They are used as a main feature, providing unobstructed views while allowing a large amount of natural light indoors. Geometric shapes are also popular as accent windows. 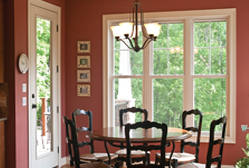 Our casement windows are hinged windows and open outward with a rotary crank handle. Casement windows open from the side. 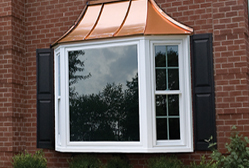 Both awning and hopper windows are hinged windows. Awning windows open at the bottom and hopper windows open from the top. 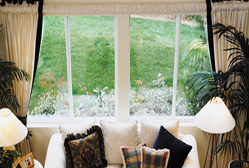 A bay window is a decorative window that projects outward, creating a sense of open space. A bow window contains four or more windows and also projects outward. 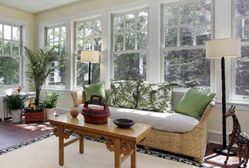 These windows project outward and provide space for foliage, photos or decor. 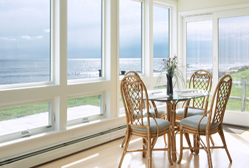 CompositWood windows offer superior performance because they combine the latest in composite material technology with the best performing glass options. 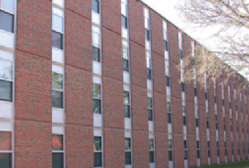 The insulating qualities of wood provides a positive thermal break and can be painted or stained, while the optional weather resistant aluminum clad exterior provides years of maintenance-free durability. 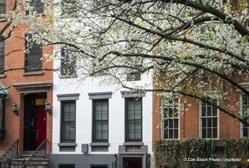 US Vinyl Historic windows offers replication of mullion details, custom exterior colors and National Park Service sanctioned- Certified Rehabilitation. 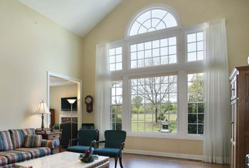 These windows are available in Simulated and True divided lite systems, Double Hung, Casements, Round Top, Elliptical Head, Radius casings and Sash replacement systems. 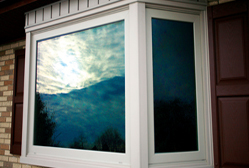 One of our aluminum windows has been tested to be used in sizes up to 60”x 99”. The air infiltration rate is an amazing .03! This window features a 4 5/16” frame, block and tackle balances with an ultra-lift option, 1” insulated glass.